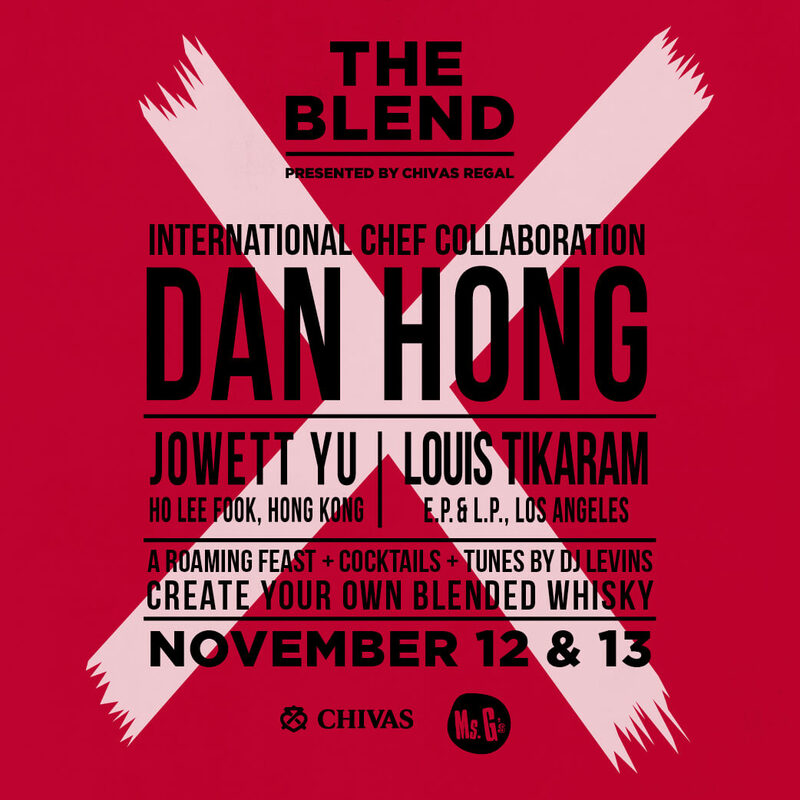 Get ready for culinary sparks to fly when Dan Hong, Louis Tikaram and Jowett Yu join forces in the kitchen for two nights only at Ms.G’s - November 12th and 13th - as they whip up some innovative eats to pair with a selection of Chivas Regal cocktails. Together, the trio have come up with a roaming party-style menu that brings together their cooking styles, with a roaming feast including Louis's famed LP spicy chicken sandwich, Jowett's Prawn and black fungi wontons with toasted chilli dressing and Dan's Fried bugtails with tom yum aioli. 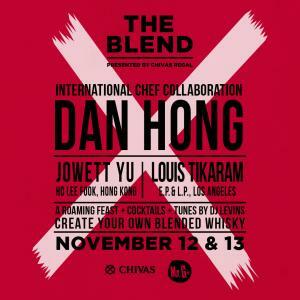 Expect an immersive night of unexpected flavours, creative mixology, great music, and the art of blending whisky. Taking place over November 12th and 13th, this match up is the second in The Blend series and will bring exciting new flavours to the night. If there’s one thing Chivas Regal know; it’s the art of blending. So come along and experience the magic that happens with just the right combination of creative eats designed to bring out the flavour notes in a selection of whisky cocktails, custom whisky blends, and DJ Levins who knows just how to get the party started. You will have the chance to taste grain whisky and single malts with distinct flavour profiles – fruity, creamy, citrus and smoky - and then blend your own unique whisky to keep. *Ticket includes all food, four Chivas Regal cocktails, a custom whisky blend experience, your very own blended whisky to keep (this will be posted to you) and entertainment until late. Take a peak at the full menu below and stay tuned as we reveal our Chivas cocktails specially created for the night.